Slappy New Year! 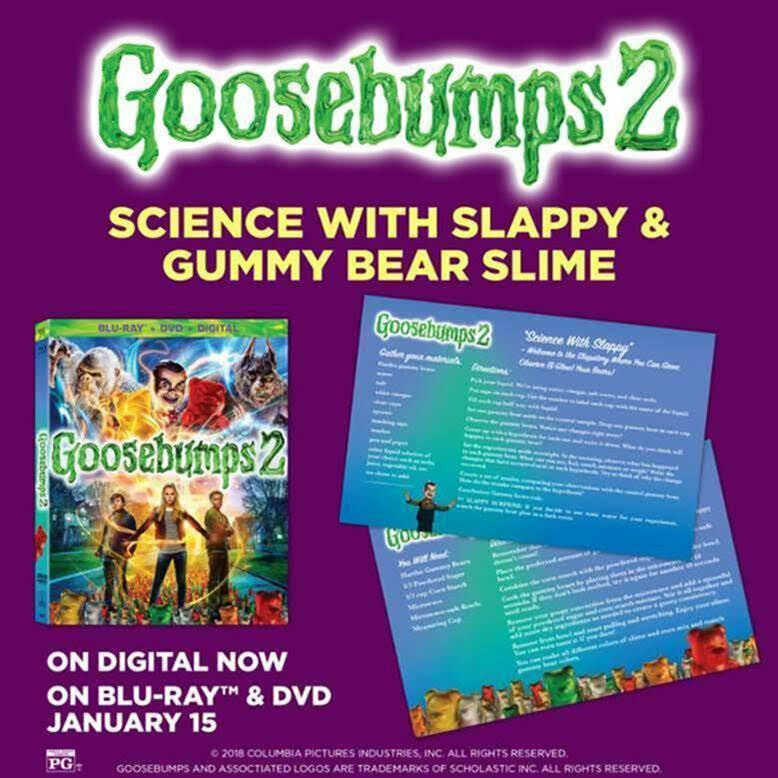 GOOSEBUMPS 2 is now available on Digital and arrives on Blu-ray™ Combo Pack and DVD on January 15th from Sony Pictures Home Entertainment! 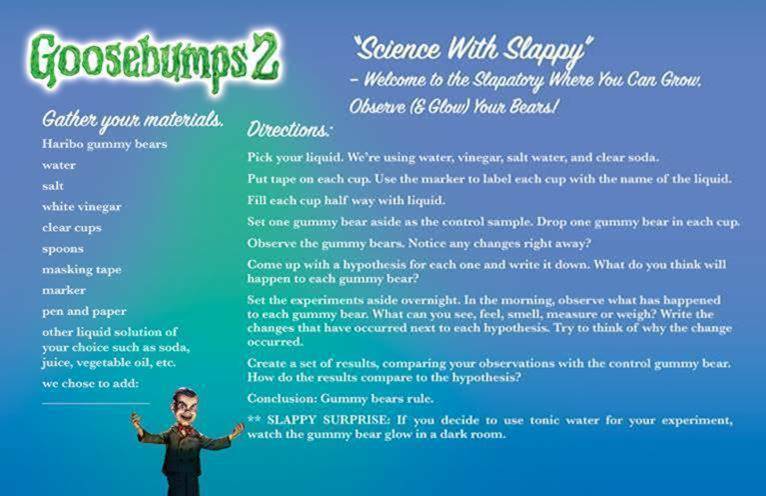 Gather up the ingredients in the back of your cabinets to make this slime recipe with your kids– and it tastes good too! It is the perfect Valentine's Day edible activity. 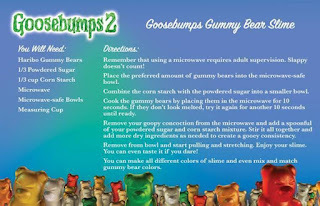 My kids loved Goosebumps 2 and Goosebumps gummy bear slime. I loved the Goosebumps series when I was a child and am glad my kids get to enjoy Goosebumps as well. My boys especially enjoyed Goosebumps 2. Gavin is eight and Christian is ten so they were the perfect age. 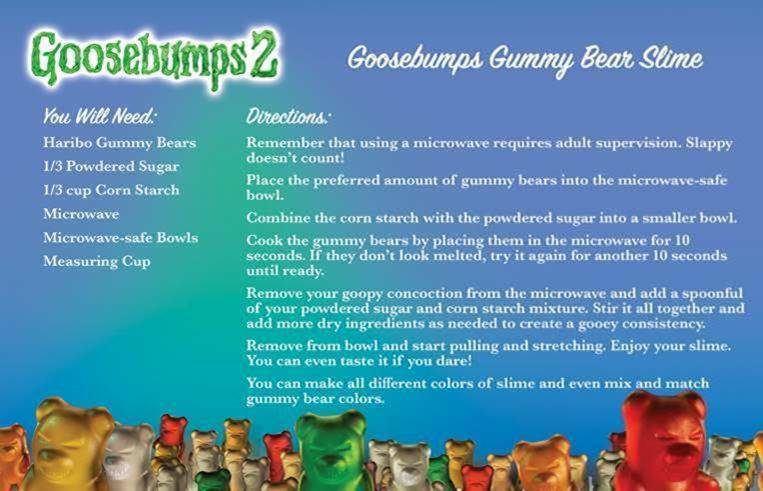 The Goosebumps Gummy Bear Slime was the best activity to share with the kids and the movie made for a fun filled family evening. I loved that the slime took mostly household ingredients and was simple enough the kids could make it themselves. I think my granddaughters would enjoy making this slime. 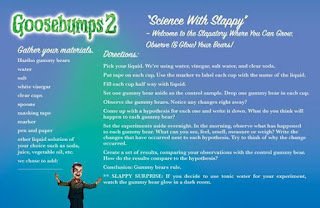 My kids would love making this slime. They will enjoy this movie too.